Day 15, the second last day in Taiwan, practically. We assigned it as shopping day. Though we, as in my friends, bought some souvenirs along the way, we didn’t buy much as we needed to keep our luggage (or backpack) weight in check. 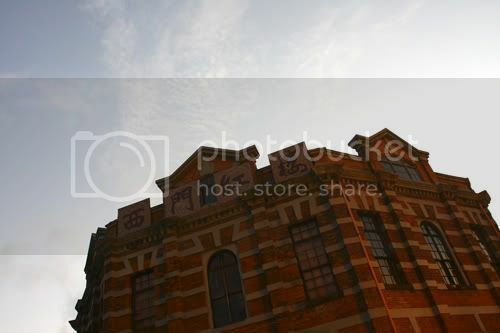 Besides, we assumed that we could get most of the souvenirs in Taipei itself. 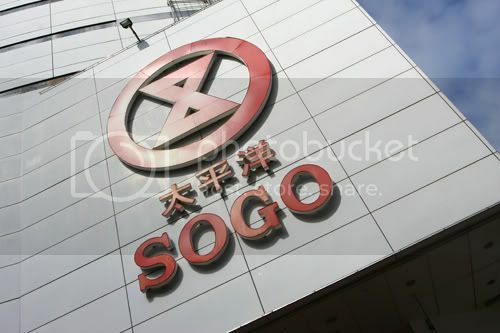 Our first stop was Sogo shopping mall. It is somewhat similar to the one you see in Malaysia, but it is way bigger. 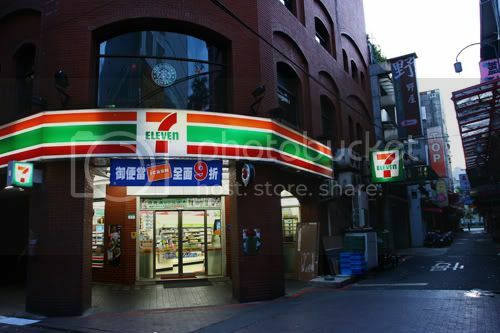 The purpose of us going there was to get some Taiwanese delicacy biscuits. As usual, we skipped our breakfast and so, we had our brunch in the shopping mall itself. There was a mini food court which sells quite a lot of food. 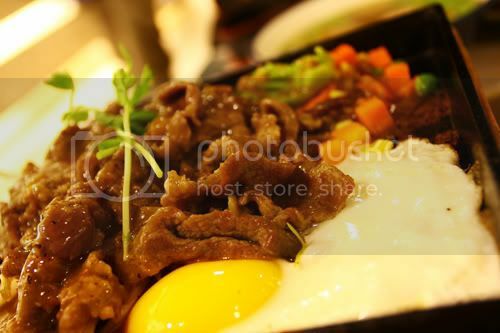 Not knowing what to eat, by looking at the picture and with rough identification of words, I ordered some beef rice meal. It turned out pretty good actually. The meat was juicy yet tender while the black pepper sauce was good. I have got to give credits to them (Taiwanese) for knowing how to cook beef meat properly. After our meal, we looked for that particular booth which sells the biscuits we wanted to buy and we spent more than NT$5000 in total just on the biscuits. At about mid-noon, we left the building and headed back to our hotel. We didn’t go anywhere else as we had to put the biscuits in the room. We can’t be carrying them around, anyway. There were lots of shops around our hotel area. 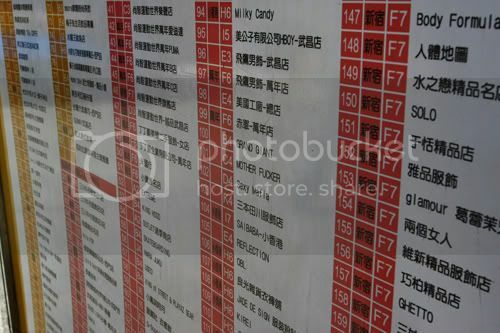 So we figured that we might be able to get some souvenirs from these said shops. But before the ‘shopping’ spree, we took a short rest in our hotel room. 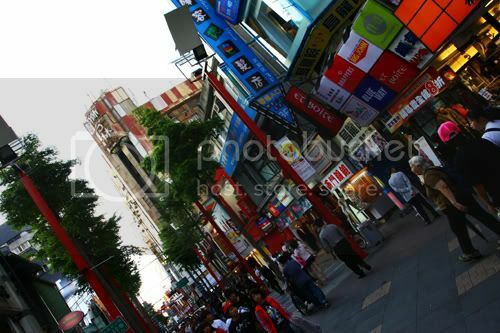 Throughout our stay, we didn’t have the chance to stroll around Ximending, or at least around our hotel area. We only been through 2 streets and that’s only because we had to use it to get to the MRT. 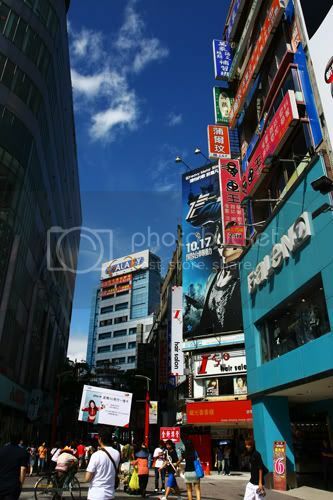 So, that day was our chance to see and feel how it’s like to be in Ximending during busy hour. Besides, we need to get to our souvenirs too. The streets were very busy from day till night. All walks of life were on the streets minding their own business. Young kids in school uniforms, older generations with proper attire to the hip and trendy looks of teenagers were all there. I wouldn’t say it was a cultural shock to me. Fashion in Taiwan (or at least in Taipei) somehow resembled to the ones in Japan. The way they dress and their hairstyle is similar to those you normally see in Japanese TV shows. I actually told my friends that the were lots of Hello Kitty in the shops. Let it be stickers, soft toys, stationaries and etc., they were literally everywhere. Don’t ask me why. There were shops that sell branded goods and there were ones that sells non-branded ones and not forgetting food outlets too. 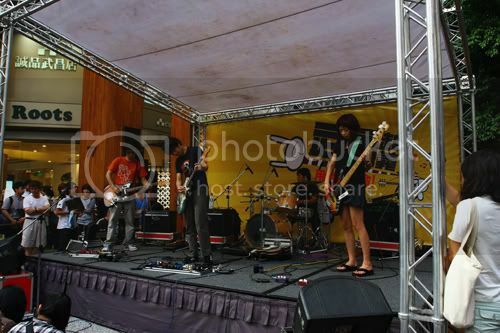 At times, the streets of Ximending were so lively that there were live performances. Let it be day or night, there were people performing according to their own specialty which attracted quite alot of viewers. We strolled quite a while before we went for our dinner. After a numerous lookouts, we settled for this shop. 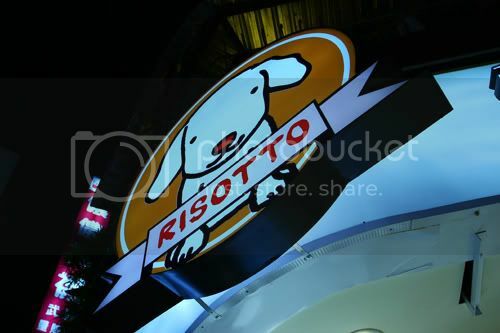 Its speciality was risotto. Yes, of all places, my first risotto has to be in Taiwan. I ordered mine which was risotto with bacons. The taste was quite alright. Not too creamy/starchy yet not too bland. But I’m sure there are better ones out there. The only downside was they served in small portion, which I think they should be in the first place. 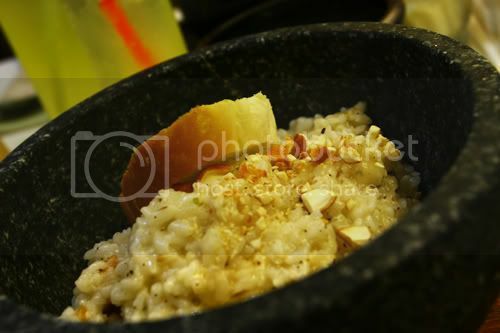 However, having said that, risotto should normally be served as starters instead of main course. Not satisfied at all, we headed back to TGIF for another round of food. Haha. It was pretty late at night when we finished our second round (of dinner). However, the day was not over. 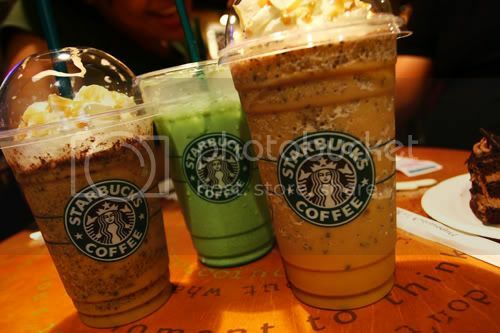 My friend managed to coax us to visit Starbucks for the last time. And off we went to the nearest Starbucks which was located opposite of our hotel. We chatted quite a while before we called it a day. On the next day, we woke up early. As early as 5am because there will be a cab waiting for us at 6am to pick and send us to the airport. IIRC, we paid approximately NT$1200 for a van (with driver, of course). The photo above is the last photo I snapped before we left for the airport.